I adore Hannah! 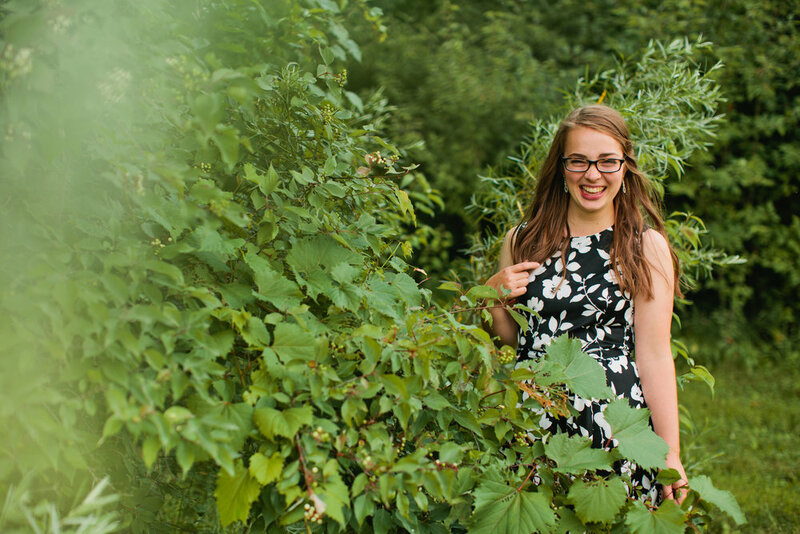 I can't believe that she’s a senior— I babysat her growing up, and her mom occasionally did my school health checkups. 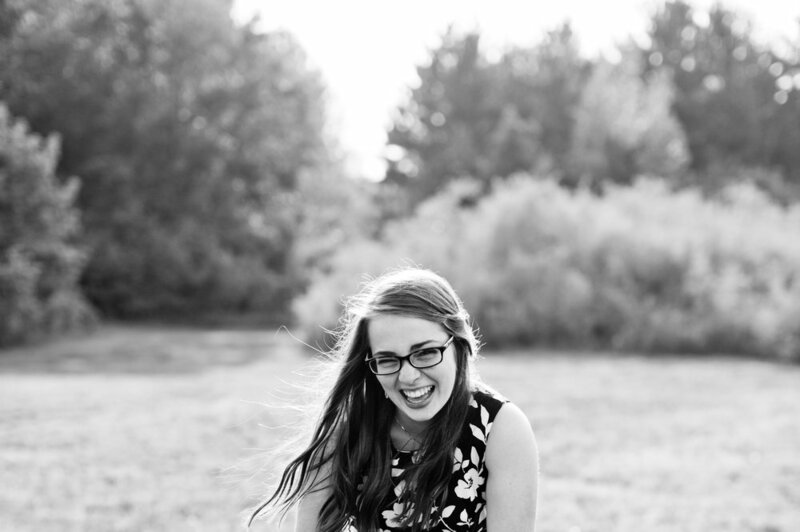 Two years ago, I photographed her older brother Ethan’s senior photos in Waterloo. How we are now to Hannah’s seniors, I have NO IDEA! But we had a blast! You guys, some of my favorite photos came out of this evening! We started off at one of my favorite senior photo locations. 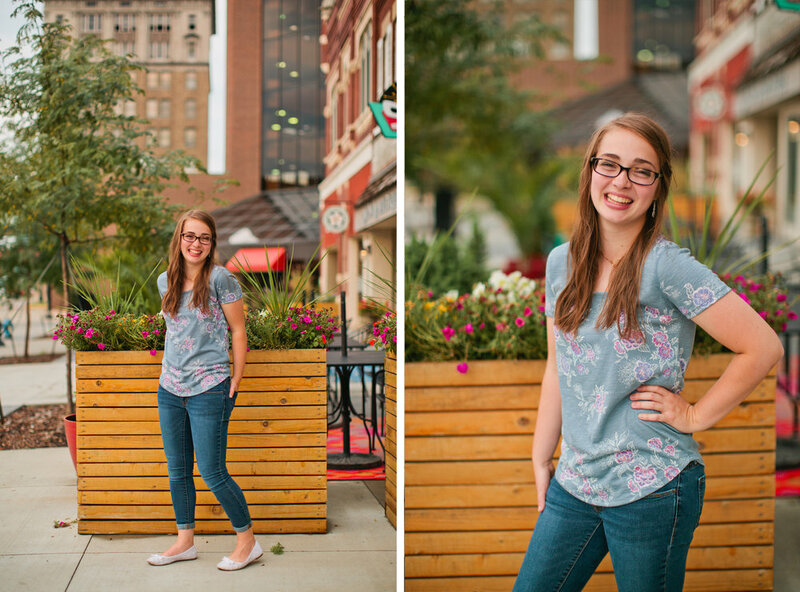 We call it the "secret lake" and it's been a longtime go-to spot for senior pictures in Waterloo! Hannah's first outfit was a twirly black and white dress, with a beige cardigan. So simple, feminine, and perfectly Hannah! After taking wayyy too many photos of Hannah in her first outfit, she switched into her second outfit-- white flats, skinny jeans, a graphic t-shirt and hot pink cardigan. A new location was in the plan, so we headed downtown and found some really unique walls, alleys, and spaces that were the perfect backdrop for Hannah to shine in front of! I LOVE these next few photos! The pink petunia baskets hanging on the lampposts downtown matched Hannah's outfit --and when she climbed up on it, I couldn't help thinking that she looked like she belonged in a musical. Can you say, "Singing in The Rain"?! The following photo is one of my favorites! An "Amelia Pick" if I ever saw one. Finally, we headed back out towards the country to a favorite spot of Hannah's. It's just behind their family land, a place she and her siblings explore during summer vacation. We got a few photos in before a massive thunderstorm hit! We stuck it out for a few minutes, but called it a wrap once it started pouring rain. 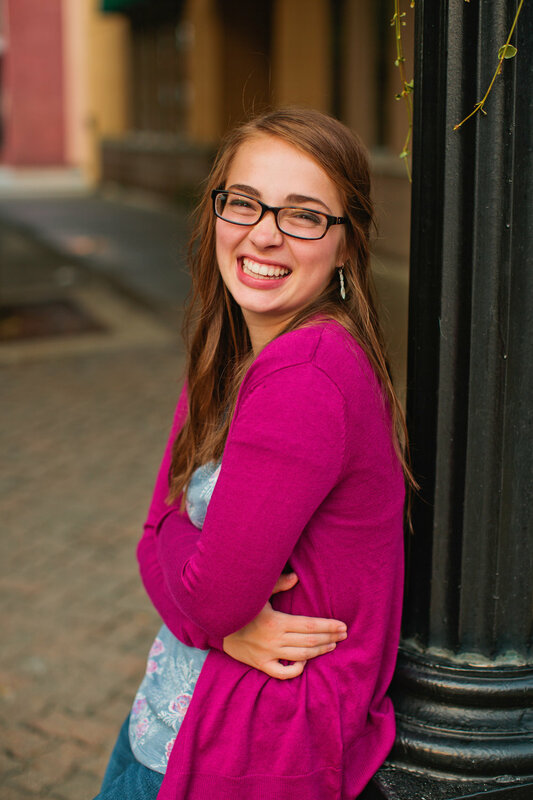 What a fun way to end your senior picture session!